Warehouse Mobile Shelf Storage Shelving Systems Steel mobile warehouse storage rack is Eyda's specail design for light duty goods storage, like tea etc. Mobile Rack Roller The roller is sepcail design to durable moving on ground. Mobile Rack Frame All the frame will be installed with roller first. The movable shelves provide plenty of visibility and optimal storage capacity in the smallest space. Heavy shelves can be moved simply and easily using a hand crankor rotary handle. Conventional Storage Conventional stationary storage productive units require space- wasting double the storage fixed aisles. Mobile storage wardrobe/Shelving System for sale! 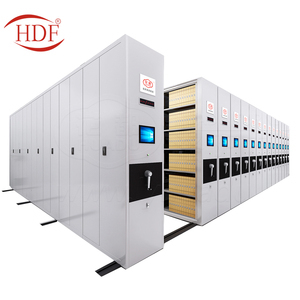 Mobile shelving system has only one passage which can be open upon demand, so as to improve the storage density in a given space. 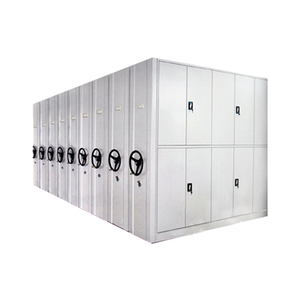 This method can increase the storage capacity by 100% or more to fully utilize a limited space. is a professional racking, pallet racking, shelving manufacturer in China, we designing, manufacturing, developing and installing modern warehouse racking facilities. 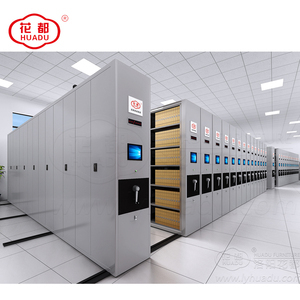 Nanjing Sunnyrack Manufacturing Co., Ltd.
Alibaba.com offers 2,690 mobile shelving system products. About 33% of these are stacking racks & shelves, 33% are filing cabinets, and 1% are other office furniture. A wide variety of mobile shelving system options are available to you, such as metal, stainless steel, and steel. You can also choose from boltless / rivet shelving, multi-level, and automated retrieval. As well as from industrial, warehouse rack. And whether mobile shelving system is ce, or csa. 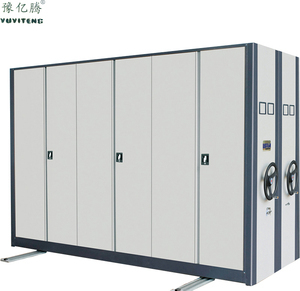 There are 2,605 mobile shelving system suppliers, mainly located in Asia. The top supplying countries are China (Mainland), Malaysia, and Turkey, which supply 97%, 1%, and 1% of mobile shelving system respectively. Mobile shelving system products are most popular in North America, Domestic Market, and Southeast Asia. You can ensure product safety by selecting from certified suppliers, including 2,142 with ISO9001, 1,593 with ISO14001, and 1,086 with OHSAS18001 certification.